Mandurah Baptist College student selected in WA’s Youth Parliament. Mandurah Baptist College student and newly elected member for South Perth in WA’s Youth Parliament Rp van der Westhuizen. 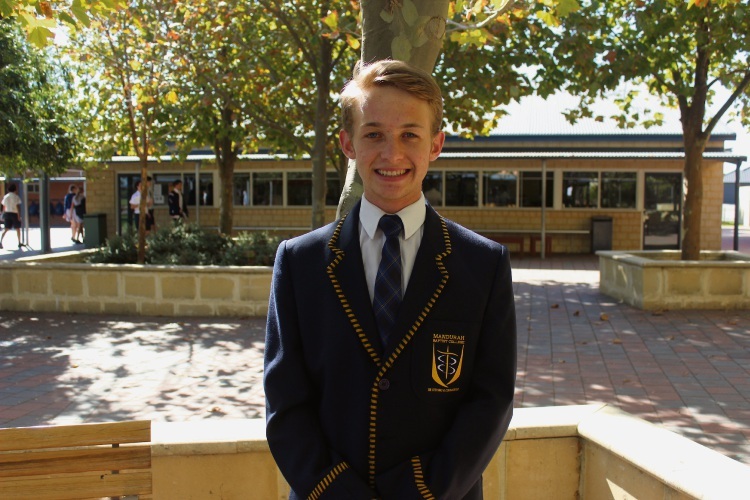 MEADOW Springs resident and passionate politics and law high school student Rp van der Westhuizen was elected a member for South Perth in WA’s Youth Parliament. The 18-year-old Head Boy of Mandurah Baptist College applied for the opportunity with the help of his teachers. Mr van der Westhuizen said he found out he was successful a week ago. “I’m really excited – I decided to apply for the position and I got accepted,” he said. The Year 12 student said taking on the role of elected member of the state Youth Parliament would mean he would help create youth-related legislation. “We will create legislation over the next three months or so for youth issues here in WA,” he said. “Our first session is on this Sunday and during the first week of the July holidays we will have a mock parliament and introduce our legislation, debate and vote on it”. Mr van der Westhuizen said his passion for politics has developed over the past two years. “I came back from Canberra a week ago after attending a constitutional convention in which I was elected to go,” he said. He said he had plans to make it big in politics. “After school, I hope to attend university and study political science and international relations and maybe economics as well,” he said.